This Thursday, lecturers at most universities in the UK will go on strike. They will stay on strike on Friday. They will continue to do so for three days next week, four days the week afterwards, and five days the week after that. In total, unless the dispute is settled in the meantime, 14 working days will be lost to industrial action in an industry that seldom sees action of any kind. The cause of the strike appears simple. University managers want to make changes to the USS, the pension plan that covers lecturers at 65 UK universities. Lecturers and their union, the University and College Union (UCU), the largest higher education union in the world, are determined to prevent those changes taking place. With neither side willing to budge, the UCU balloted members for strike action in January 2018 – and lecturers at an overwhelming majority of universities voted in favor of action. But the roots of the strike go much deeper. Why else would the angriest and most determined parties be academics thirty or even forty years away from their first pension payment? The underlying reason for this anger is a vicious circle that has closed at UK universities over the past 20 years: students pay much more for their education, teachers get paid less to give it to them. To understand the strike, and to win it, we need to put the strike in context. It is crucial to understand how British higher education has changed but also to see how those changes are connected to wider transformations in British society. Unless the strike is seen as part of a broder shift in the economy which has brought about the privatization of every conceivable space, the growth of casual labour in many industries and the extension of “lean production” throughout the economy, the long-term trends it challenges will continue unabated. This Thursday’s strike is the largest ever called in British higher education. The last time that lecturers went on strike was for one day in October 2013. The time before that was all the way back in 2006, when lecturers engaged in a variety of actions – boycotting exams, refusing to release marks to students – to back up their pay demands. The upcoming 14 day strike will disrupt universities far more than in 2013 or 2006. The immediate issue at stake is the future of the USS pensions scheme. Universities UK, the organization that collectively represents the managers of the 65 UK universities that subscribe to the scheme, including the oldest and most prestigious institutions, want to move the USS from a scheme based on “defined benefits” to one based on “defined contributions.” A defined benefits scheme means that the employer will guarantee a certain payout when the employee retires; a defined contributions scheme means that the employee (and potentially the employer) puts a certain amount of money into a pension pot that becomes available to the employee when they retire. The basic difference is this. With a defined benefits scheme, the employee and employer share the risk; with a defined contribution scheme, the risk is borne by the employee alone. Naturally, the lecturers and the UCU insist that changing from the first to the second will disadvantage employees. 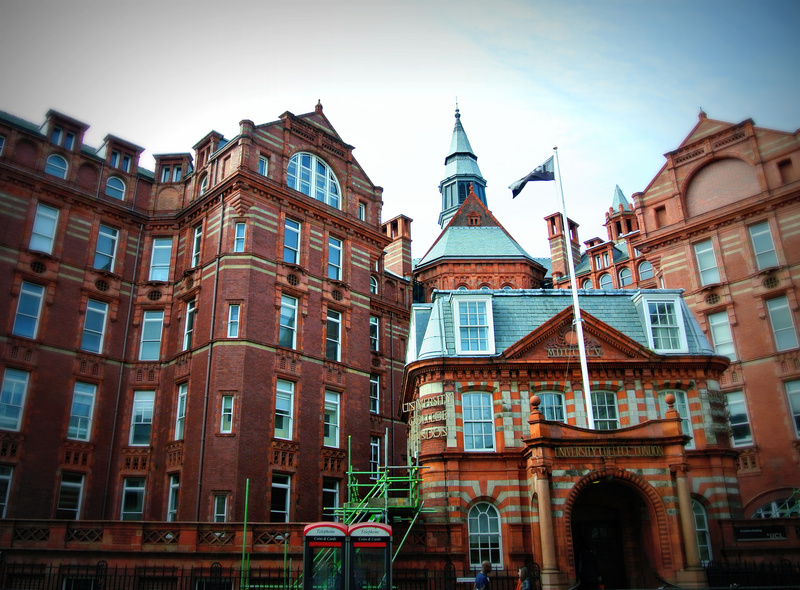 Universities UK believe that this change will work financially in their favor – and that explains why they have refused to submit to arbitration. At this point the argument gets more complex. The UCU and Universities UK disagree about the future health of the USS pension fund. The employers argue that the future of the fund is in jeopardy unless they cut future payments as lecturers enrolled in the scheme retire. The UCU claim that the fund is in fact in good health, and that the dire projections that university managers used to back up their predictions assume a kind of industry-wide apocalypse. There have been dire warnings about the consequences for universities of Brexit, and in recent weeks the Conservative government has made noises about a shakeup to tuition fees. Yet most universities don’t seem to be following their own public predictions. Instead, many of them have started a building binge – new research equipment, to be sure, but also gyms, amenities, shiny things dotting up all over campus. Of course, precious little of this largesse has been directed to their own workers. And that fact points to why arcane discussions, of fiscal projections and pension plans, only partly explain this unprecedented strike. The roots lie with the changes that have transformed British universities since the time of Tony Blair. There are two numbers that define British universities today. The first is 9000 – the amount in British pounds that students currently pay per year for a university education. The second is 75000 – the number of teaching staff at British universities on “atypical” – that is, not permanent and full time – contracts. Taken together, these two numbers point to the sweeping changes that have taken place since the late 1990s, all of them the product of political changes made by successive Labour and Conservative governments. Not all these changes are bad. Between 1992 and 2016, student numbers in the UK nearly doubled from 984,000 to 1.87 million. We should welcome the idea that more people have access to higher education even as we acknowledge that working-class people of all backgrounds, and especially people of color, still struggle to overcome the many obstacles that stand in the way of their admission to “uni.” The problem is not that there are more students, the problem is how to pay for it. Students paid no tuition fees until the very end of the twentieth century, and if they were poor they could secure maintenance grants – that is, benefits to cover living costs – from local or central government. Tony Blair’s Labour government changed all that. In 1998, Labour allowed universities to charge students up to £1000 per year. In 2004 they raised that figure to £3000 per year. When the Conservatives and Liberals formed a coalition government in 2010, they tripled that figure to £9000 per year – right after the Liberal Democrats had campaigned on a pledge to scrap tuition fees altogether. This, of course, did not apply to students in Scotland. Thanks to a decision by the devolved Scottish parliament, tuition fees do not exist north of the English border. The rest of the UK is not so lucky. And what of their teachers? The number of academic teaching staff rose at about the same rate as the student population between 1999 and 2016. But the composition of that number changed a lot. In 1999, according to the Higher Education Statistics Agency, only 15% of academic teachers worked part-time, and none on what are called “atypical” contracts. By 2016, just under a quarter of academic teachers worked on part-time contracts, and more than a quarter on casual ones. It’s difficult to say what proportion of the total teaching load is carried out by these “atypicals.” Universities generally argue that they account for only a small fraction of the total, as my former employer, the University of Nottingham, did when confronted with accounts (including mine) of exploitative practices by the Guardian newspaper in 2016. But there is good reason to believe that they do in fact account for a large fraction. In the humanities, at least, most first-year and second-year seminars are taught by casual teachers, many of them postgraduate students. The point to remember here is that the almost the entire increase in the number of teaching staff at British universities since 1999 is made up of workers who are not full-time, who are not permanently employed, and who are unsure from semester to semester whether they will have any teaching at all and if so, how much. Those two numbers, 9000 and 75000, symbolize profound change in the British university sector. The first represents the commodification of education, the second indicates the decline in working conditions and job security of those providing it. The combination of the two explains the anger of the most enthusiastic of Thursday’s strikers. Many of the younger ones will have paid dearly for an education that has landed them in a job whose pay and conditions are deteriorating. Some wonder if they will see a single pound of pension at all. Many more are hardly concerned, or not mainly concerned, with the pensions themselves. Behind this strike is a long building anger about job insecurity, unpaid labour, the research lecturers must do on their own dime if they want to land a full-time job in the future. They are not worried that the universities themselves will collapse. Those institutions are building and buying like never before. Lecturers are worried that their role in the universities will be as part of a growing academic precariat, with a shrinking layer of full-time professors above them and a career with no prospects ahead of them. In this, and in many other things, they share much in common with workers in other, very different industries. has stripped of its halo every occupation hitherto honored and looked up to with reverent awe. It has converted the physician, the lawyer, the priest, the poet, the man of science, into its paid wage laborers. It might appear that academics still retain some of that halo, especially in such a class-conscious society as Britain. A fair degree of snobbery certainly still exists, especially at the more elite institutions. The otherwise undistinguished Blairite MP (and Cambridge graduate), Tristram Hunt, tapped into that sentiment when he told the Cambridge University Labour Club that they, the “top one percent,” must lead the fight to rid Labour of Jeremy Corbyn. The growth of causal labour in the academy has undermined these prejudices. That can be a cause for hope as well as concern, because it aligns the interests of many university teachers much more closely with workers in other industries than with snobs like Hunt and his ilk. You don’t have to believe it constitutes a new class, or even a departure from capitalism’s history, to see the significance of the rise of precarity. The list of British occupations and industries where this applies is very long. Some are synonymous with casual work. Social care, distribution firms such as Sports Direct, and agricultural work – to name only a few examples – all draw on armies of casual laborers. The wages and conditions of manufacturing workers remain under threat from temporary replacements, even though temps are nowhere near a majority in most manufacturing industries. Other industries have seen standards slip in recent years. In health, nurses and even junior doctors have taken action to protect their conditions, which because of government underfunding remain under constant threat. Primary and secondary school teachers labour under similar pressures. It is this second factor that provides the clearest context to tomorrow’s strike, workers in occupations previously considered as white collar or professions losing the added pay and better conditions that went with that status. While it may seem as if lecturers are striking against a relative loss in just one pension scheme, they are actually on the front line of an ongoing battle which threatens to wipe out proper pensions for workers across a whole sector of society. The stakes are high in this strike. Many UCU members, including the officials of my own branch, insist that it will define the future of British higher education for many years to come. If it fails, the UCU will find it difficult to launch another strike again, or even threaten one when managers threaten other changes. Universities UK will seek to build on their victory and even, if they can, consign the UCU to irrelevance. So what are the chances of success? At most universities, turnout in the strike ballot – and support for the strike itself – has been high. The number of new UCU members has skyrocketed in the weeks leading up to industrial action. The determination of the strikers themselves is not a problem. But determination on the other side of the dispute is solid too. Some university managers, including my own at Loughborough University, have criticised the proposed changes to the USS pension plan. Most have not. Unless dozens more suddenly become seized of the need to prevent the strike, and a majority of university managers force Universities UK to return to negotiations, the dispute will continue. The main variable, then, and the most crucial one, is the students. So far, some student unions have been ambivalent about the strike. Others have pledged full support for their lecturers. Individual students have organized petitions demanding that universities recompense them for lost contact hours with their teachers. It’s difficult to tell if students are turning the idea of education-as-commodity against their universities, or if they are simply demanding their right as consumers to get full value for money. Either way, they provide the main revenue stream for universities today. That means that universities listen when they speak – more in many ways than they listen to their own staff. If the lecturers are to win their strike we must enlist the support of their students, and make sure that they speak out. To ensure this happens it is essential not to act as if the strike is a private matter between the UCU and Universities UK. It is not. We must be prepared to demonstrate our commitment to the students, without of course budging on the strike itself. A little goodwill will make a great difference if the strike drags on into a second, third, even fourth week. And we should not pretend that victory in this strike will solve all the problems that led to it. They will not end excessive student fees (excessive to a British if not an American audience), the casualization of teaching, or future threats to pay and conditions. But lecturers must realize that they are not alone. Even as the old privileges of academia disappear into the past, we gain new friends and new allies. This new generation of academics are not part of society’s elite, but workers who face similar pressures to those in many sectors across the economy. Realizing that might take lecturers some time, but this strike, win or lose, will help to speed that new consciousness along.